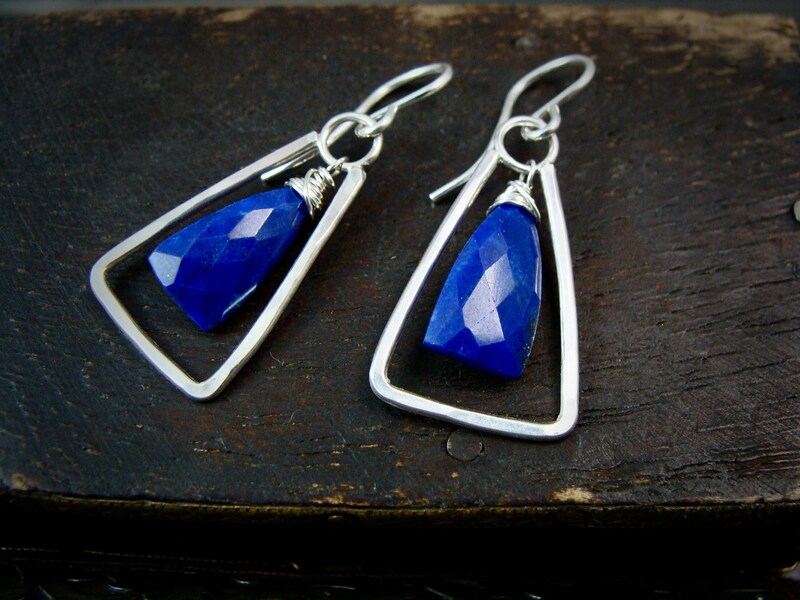 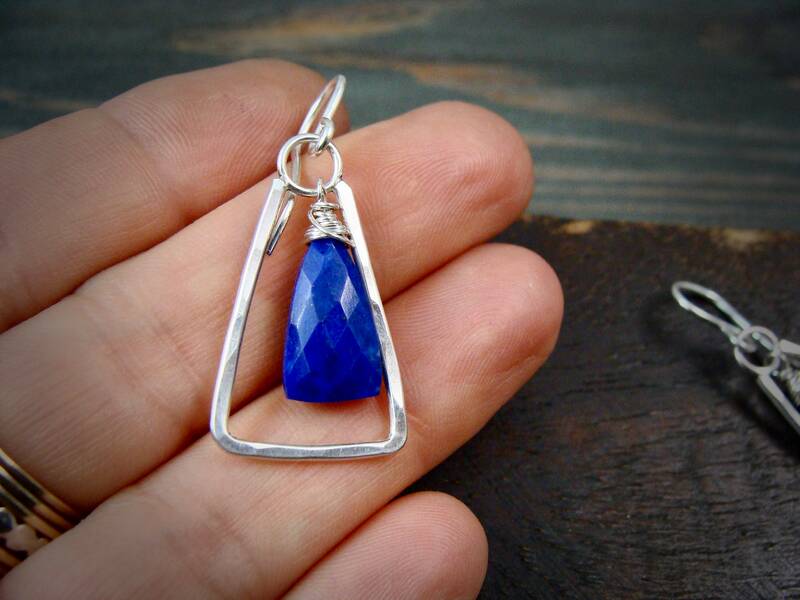 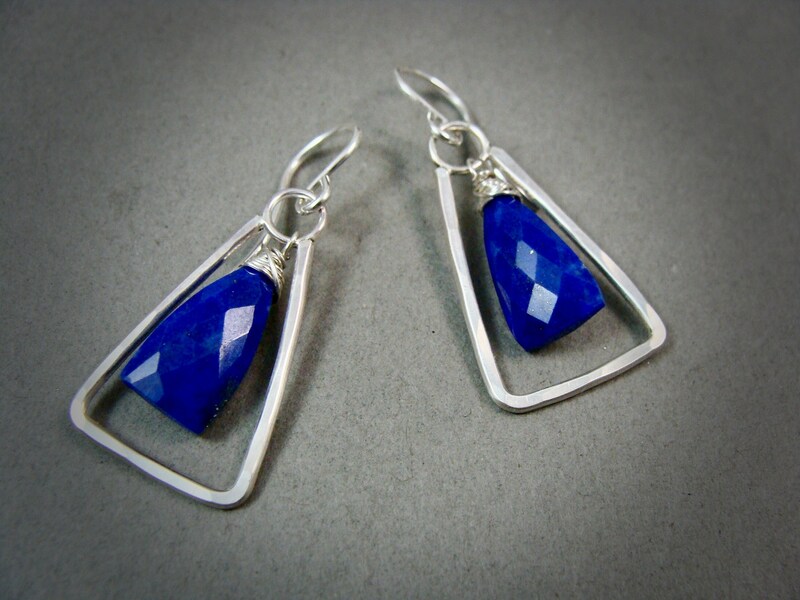 These pretty lapis lazuli gems have lots of facets to catch the light. 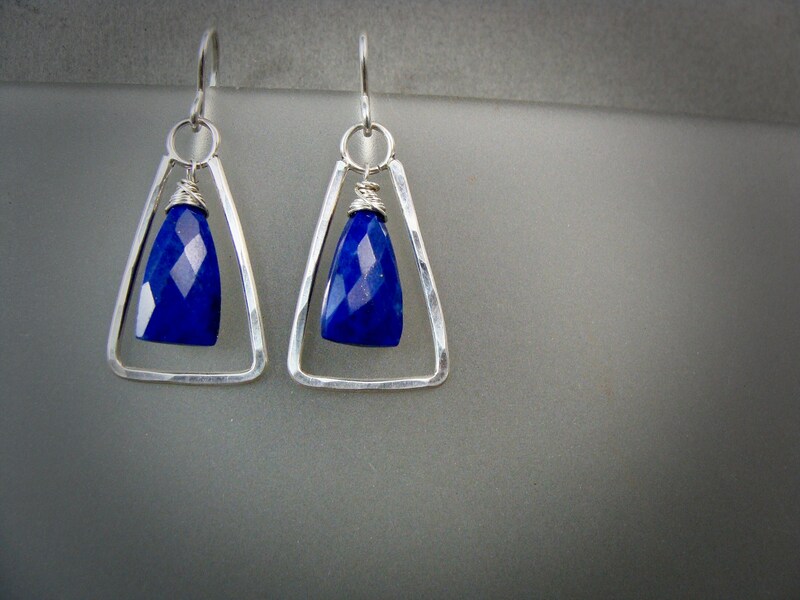 The gems sway inside handmade silver hoops. 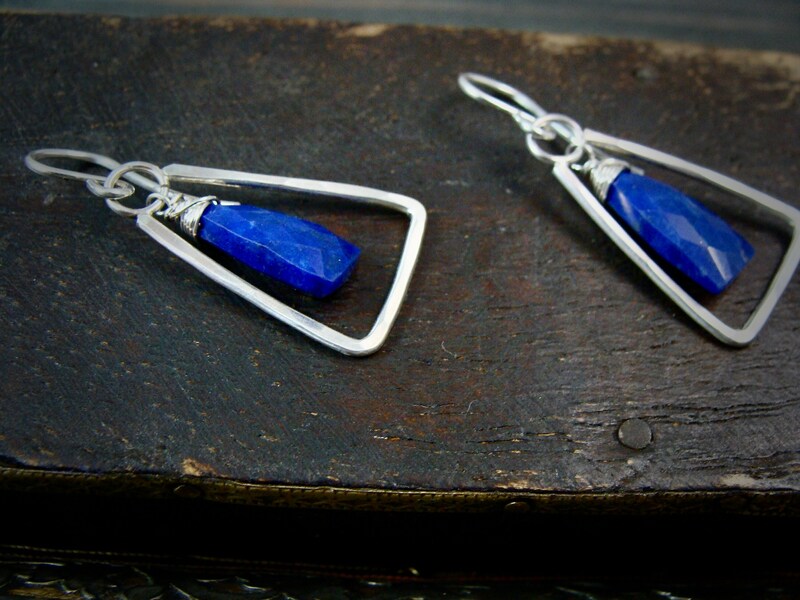 The handmade triangle hoops have been hammered to catch and reflect the light. 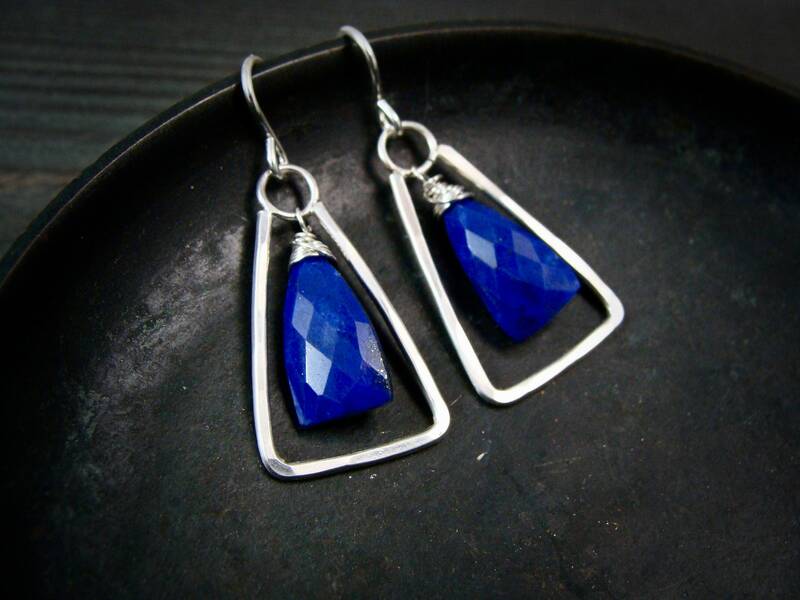 Pretty and lightweight. 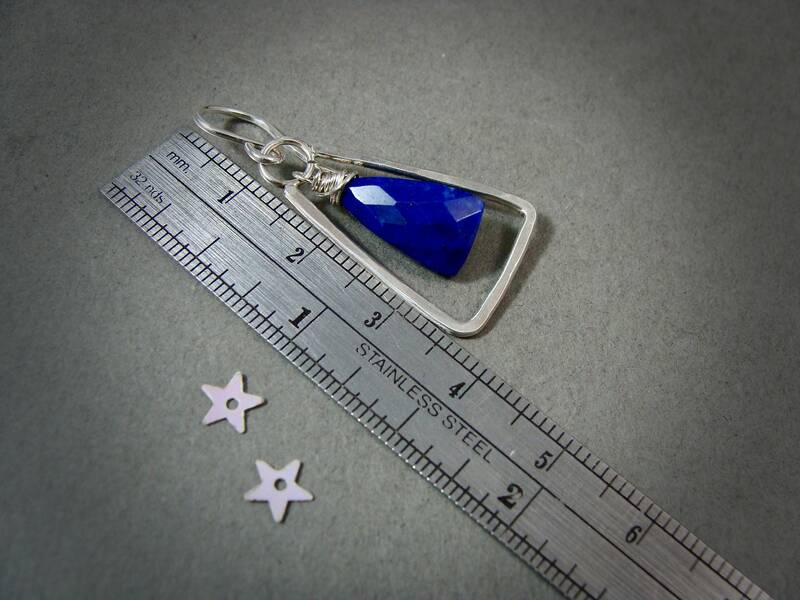 ☞ Size ~ 1 1/2" long.